The Ateneo De Manila Blue continues to dominate in the 2011 FilOil Flying V Premier Cup as they trounce the highly improved UST Growling Tigers. The score was 59 to 46. 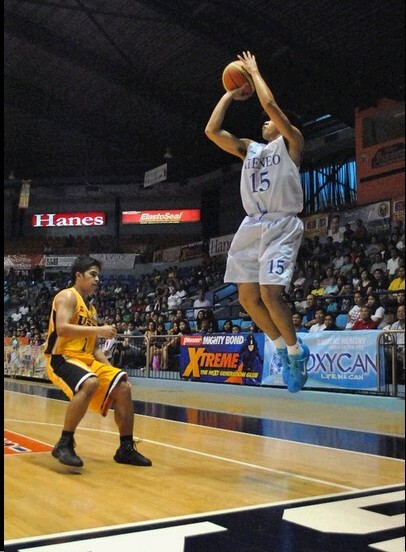 Nico Salva powered the Eagles over the Tigers. The Eagles now have 3 wins and 0 losses. They have the best record in FilOil right now. The Tigers go down with 2 wins and 2 losses. They are tied with San Beda in the standings. The pictures below are from the official Facebook account of FilOil Flying V.
The big men of Ateneo were just too much for the big man of UST Karim Abdul. Abdul did his best but Greg Slaughter, the UV standout and Frank Golia were just to overpowering for him to defend. 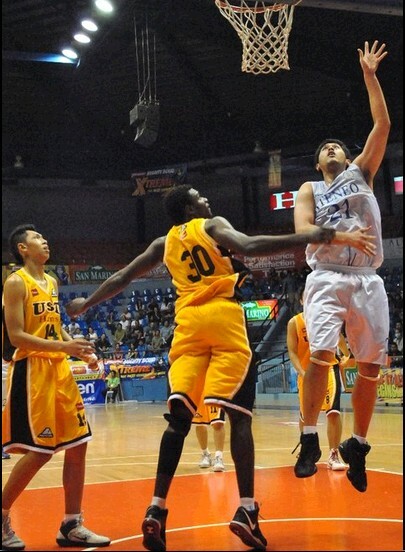 Kevin Ferrer struggled in this game. This just proves that he's still young. Kiefer Ravena was too much for Jeric Fortuna. Kiefer showed his leaping ability in several instances, when he shot a booming three pointer and when he drove to the basket and he was challenged by the 6'4 Kevin Ferrer and he still made the incredible shot. 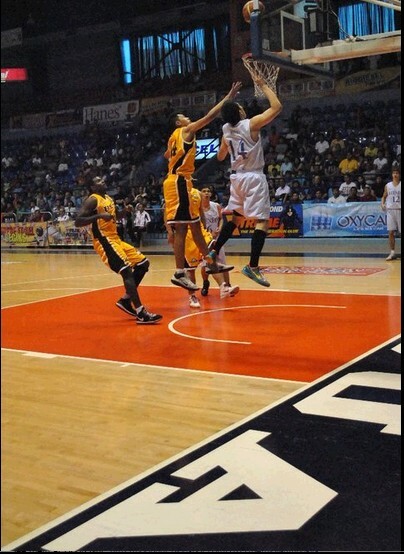 The three pointers of Emman Monfort and Ravena sealed UST's fate.